I made this cake for a little girl's first birthday. 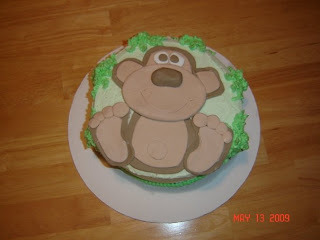 The monkey is made of fondant, and the trees are butter cream icing. 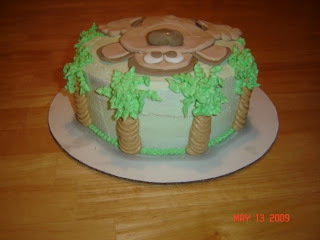 The cake itself is iced with butter cream icing.